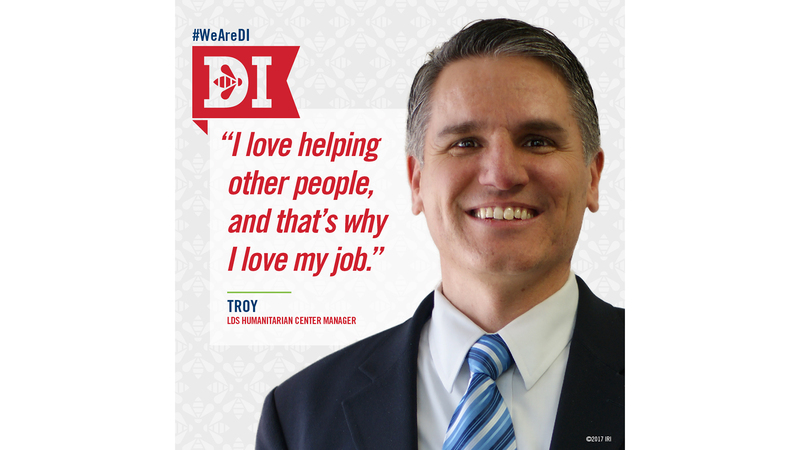 Troy is the manager of the LDS Humanitarian Center, where unsold items from DI are gathered for humanitarian relief. Many of the 180 associates enrolled in job training at the center are resettled refugees, and part of their training includes attending classes to learn English. At the LDS Humanitarian Center, items are sorted so they can sent around the world for humanitarian relief. Over seven million pounds of clothing and shoes are sent out each year. The items that can’t be used for humanitarian work are recycled.